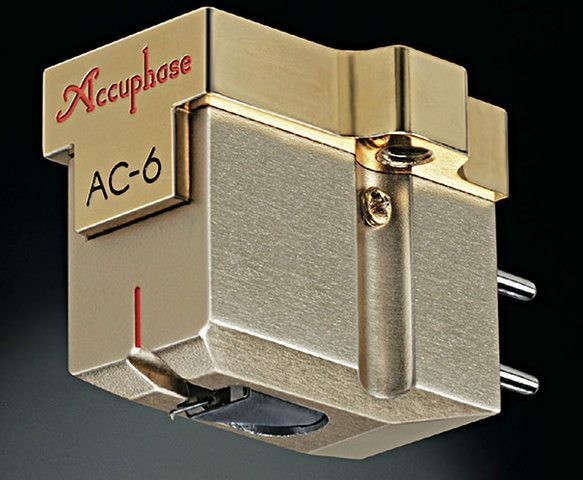 Yokohama, Japan | 2018 – The AC-6 is a new addition to the highly acclaimed Accuphase lineup of phono cartridges. This MC cartridge features latest technology in terms of materials and construction. The semi line contact stylus extracts minute vibrations that are transmitted instantaneously to the magnetic circuit by the boron cantilever with high propagation speed. 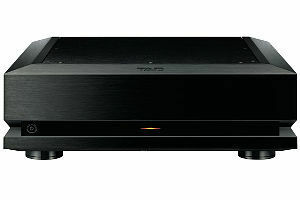 The magnetic circuit is mounted on a strong titanium base, ensuring accurate conversion into a music signal. 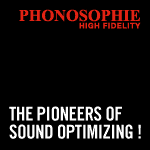 Every single aspect of the cartridge has been finely honed to deliver optimum performance, ushering the listener into the wonderful world of analog records. 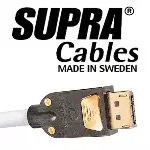 The base section of the cartridge is manufactured using highly rigid extruded titanium further hardened by gold ion plating. This provides a firm hold for the magnetic circuit and the vibration transmitting section while keeping internal losses to a minimum. Titanium is a difficult material to machine, but its light weight combined with high stiffness and corrosion resistance made it the ideal choice for the AC-6. 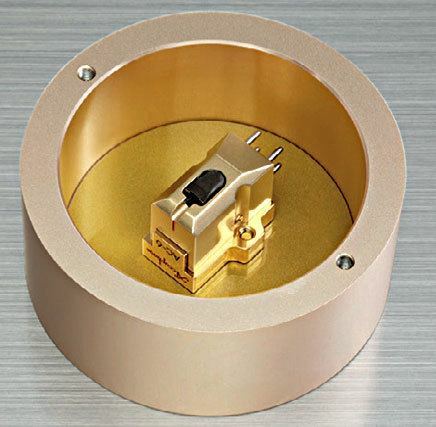 The cartridge body of extruded aluminum has been given an elegant gold-colored alumite coating, making it a great looking match for any high-quality turntable. The task of the cantilever is to accurately transmit the vibration energy created by the stylus tracking the groove on the record to a coil that converts it into an electric current. Because the cantilever should not cause any losses, a material with high stiffness and high propagation speed is optimally suited to this task. 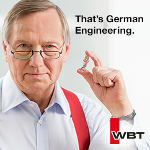 The AC-6 therefore uses a solid boron cantilever with a diameter of 0.3 millimeters. At 16,200 m/s, the propagation speed of boron is faster than beryllium (12,870 m/s) and approaches that of a diamond (18,350 m/s), making it an ideal choice. The stylus tip has a so-called semi line contact shape (3 μm x 30 μm). 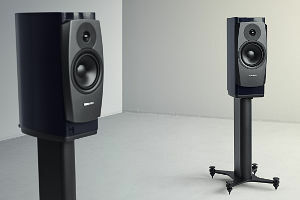 This realizes accurate tracking not only in the amplitude (longitudinal) direction of the tiny groove but also in the line (vertical) direction, where it presents a large contact area which reduces tracking distortion due to the pinching effect. The magnetic circuit features a grade N50 permanent magnet. Neodymium is a rare earth material utilized in the strongest permanent magnets currently available. Its energy product is nine times higher than Alnico and boasts high mechanical strength as well. Cantilever: Solid boron, 0.3 mm dia.